Allied Vending, full service vending operator in Singapore. 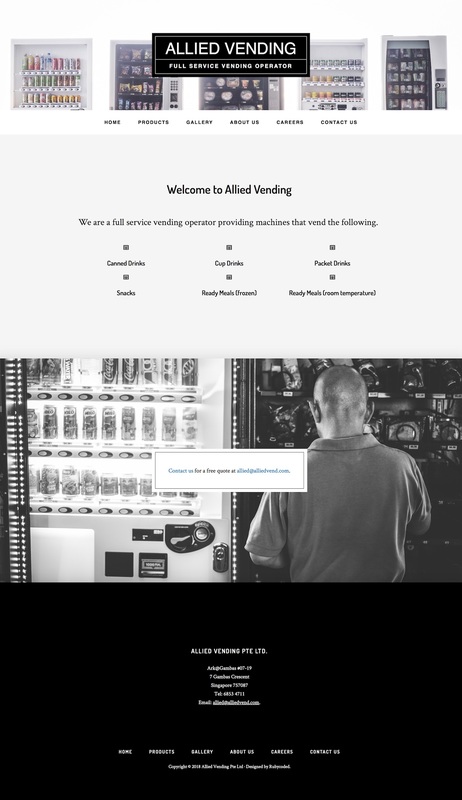 Vernon from Allied Vending approached us to create a corporate website for the veteran vending operator. We chose a clean, minimalist design that evoked a grunge and industrial feel that matches the company branding. For the Products page, we laid out a comprehensive list of products the company offered in a concise manner that was clear in a glance. Rubycoded went beyond the basic website building by giving ours a stylized look and feel. This set us apart from our competitor’s sites and made it more unique and memorable. We love working with them. Great support!